There are many benefits to selecting and implementing an enterprise resource planning (ERP) system for your business. ERP software streamlines your business processes for greater accuracy, efficiency, and profitability. However, it pays to be careful when choosing an ERP software solution for your company, as one size does not fit all. Failing to plan accordingly, vet vendors, and get the right people on the case can result in the selection of the wrong ERP software solution for your organization and a dire implementation, leading to a huge loss on investment. The following points address common mistakes to watch out for during the selection and the implementation of an ERP software solution. Don’t go into battle blind! The planning stage of ERP software selection is crucial. It outlines your core processes, highlights gaps in business process that you want to close and, therefore, pinpoints the necessary features your ERP system should have to be able to serve your business processes improvement. If this step is not done correctly, businesses can end up implementing the wrong system. You can talk to frontline employees and department heads, as their insight is paramount in discovering your business requirements. Another mistake that companies make during the planning stage is bad budgeting. Be flexible on cost, and create a ballpark budget. Purchasing an ERP system is usually a large expense, but the return on investment (ROI) is astounding. You will also need to choose between on-premise and cloud-based systems—both have their own benefits and longevity costs, including maintenance and support. Businesses sometimes have pre-established legacy systems. These become a burden if oversighted. They usually contain old data that becomes corrupted when mixed with a new system. You will need to assess whether to keep the legacy system or scrap it altogether. You should also determine how you are going to migrate the information, so that your data remains intact. Consider purchasing a request for proposal (RFP) template during this stage. An RFP template lays out every possible feature and function a system may have, so you can compare it against what your business needs. Companies have found RFP templates to be key when selecting the software solution that’s right for their business. Such templates also help them stay on track with the ERP selection processes, as these templates define a limited number of features and functions that are required to address the company’s business processes, so that your company can focus on those features and functions they may need. Be aware of vendor persuasion. Businesses can fall into the trap of a flashy sales pitch, losing sight of what they really need. Comparing vendors impartially ensures the necessary features and functions are met, and distractions don’t prevent you from making the right selection. If your business is in hospitality, it’s useless to read a reference from a consultancy firm. That business won’t have the same business objectives, or system requirements, as yours. Ask vendors for references solely from organizations within your industry, so that you can see how a company operating in your industry has been able to use the ERP software system to cover their business processes and needs. So, a vendor hangs a carrot in front of you and you take it. Don’t be hasty. Vendors hope to turn heads with their marketing materials. Simply because the sales pitch is good, doesn’t mean their ERP software solution is right for your organization. Remember your basics on how to negotiate. Keep a solid grasp on your business needs, and refer back to your ERP RFP template to ensure that the ERP software system you are looking at addresses your important business processes. Also, companies assume that the price quoted by a vendor is final. In reality, vendors are open to negotiations. So, bide your time and get the best price from the right vendor. The vendor ticks all your boxes. Done deal. But have you seen a run-through of the system in action? It’s common for vendors to provide demonstrations of their ERP software solutions. Without seeing demos of candidate ERP software systems for yourself, you can’t be certain that they have the core functions your business needs. 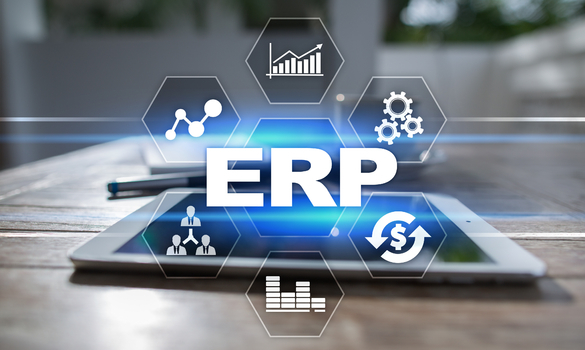 You need to see the ERP system in action—the vendor should show you how the system you are considering purchasing can address the business needs that you have identified for them. And they need to do this onsite at your premises—and not remotely—so you can witness firsthand how the system can work for your business. Selecting and implementing an ERP system is a lengthy process that transforms a business in its entirety. It is too great a task to tackle alone. Failing to assign the right project members means you didn’t include the voices of your workforce. A successful ERP project involves heads from each department, one or two “super users,” subject matter experts (SMEs), deal brokers, corporate trainers, and information technology (IT) staff. The core takeaway is that these team members should be involved throughout the project—not just during research. Each role needs to clearly indicate their business challenges and pain points, and the requirements that they need the selected ERP software system to address—and how. Businesses often make the mistake of going all in. This backfires by becoming a costly and timely decision. Systems already in place are overwhelmed, staff struggle to do their jobs, and data gets lost. To protect yourself from this, consider a phased selection and implementation. Business partners or vendors can be a good resource for this. Also consider hiring an expert third-party consulting firm to lead and oversee your ERP selection and implementation process. Not including a fair budget for system support, and maintenance, is like buying a car with no insurance. If there are system errors or if employees need help navigating the system you need a good support package. Again, partners, vendors, or third-party consulting firms can supply this service. Because you don’t know what you don’t know, after all! Seeking expert advice will help you monitor the progress of your ERP selection project, help you stay on tract, and address any problems with either the selection or the implementation before they balloon out of control. This post discusses four common obstacles that businesses face during the selection of an ERP software system for your organization. But they can be avoided if you know what to do for. Remember to do the following: allocate appropriate timelines for each of the phases of your ERP selection process; conduct the necessary research into your business processes and the features and functions that you require from an ERP software system; have a flexible business budget for the ERP system purchase, implementation, and support and training; vet vendors properly via appropriate reference checking; see demos of the shortlisted ERP systems; and assemble a good team to oversee the ERP selection project. With all these steps in place, your ERP selection project will succeed and you will select an ERP software system that best suits your business needs.